Does it require any introduction? Haven’t you heard its name? 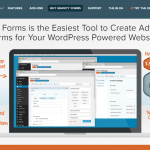 Gravity Forms is the number one solution for every similar requirement and it totally suits the WordPress platform. 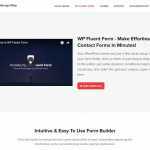 It comes with built-in forms for different requirements and even holds proper customizations and flexibility, allowing the webmaster to create a totally custom form. 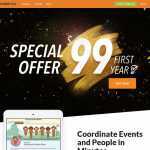 The plugin is kept updated regularly and is backed up by a dedicated support from the developer. 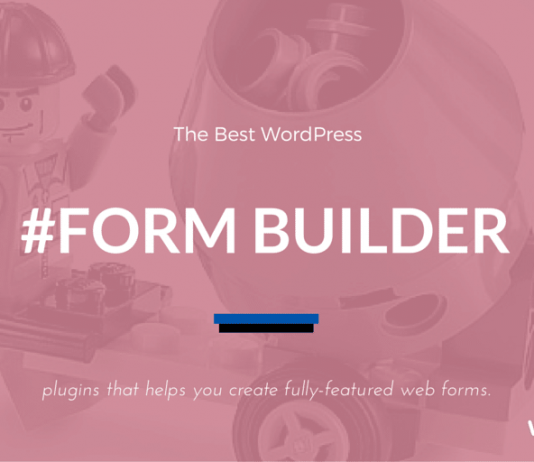 One more interesting feature it packs is that the form builder works with a drag & drop tool, allowing the webmaster to setup things without coding anything. 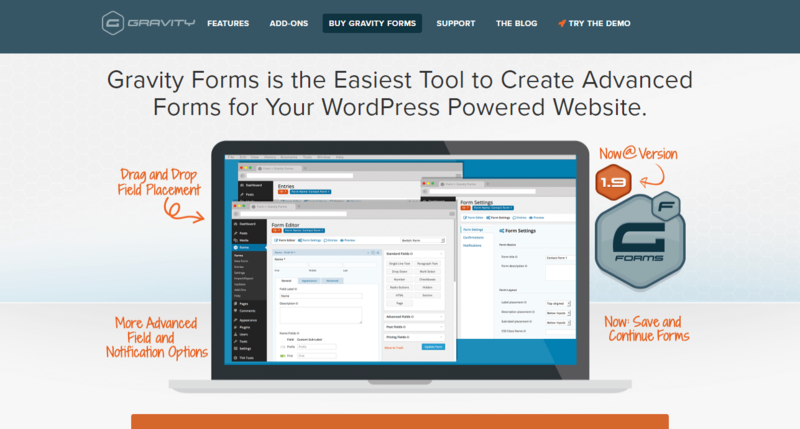 Gravity Forms provides a simple way to create fully functional forms for your WordPress site. You can choose the fields, options for the forms. The forms could be embedded into any content area. 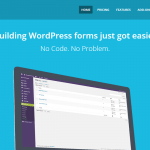 It is also possible to create multi-page forms with a progress bar. 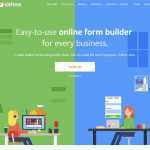 If you want to limit the form entries, that is also possible with Gravity Forms. The schedule forms feature will be useful for displaying the form only for a specific period of time. 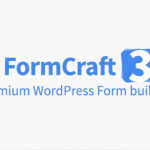 As the plugin supports pricing fields, it is also possible to create order forms with this plugin. The plugin works perfectly with the popular web applications. 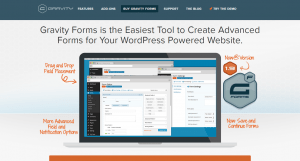 Gravity Forms pricing starts from $39 per year. It comes with dozens of form-based service provider or the related ones like payment gateways or email subscription handler, and much more. It works perfectly with all the themes out there and the developer has personally ensured the compatibility with all popular ones. It comes with built-in add-ons which can be quickly used to add a particular setting.